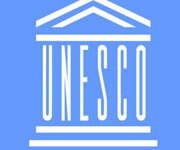 The United Nations Educational, Scientific and Cultural Organisation (Unesco) opened the Regional Research Centre for Safeguarding Intangible Cultural Heritage in West and Central Asia in Tehran on Saturday, Iran's Mehr News Agency (MNA) reported. First Vice President Mohammadreza Rahimi, and a number of officials from Iran's Cultural Heritage, Handcrafts and Tourism Organisation and the Unesco office in Tehran attended the opening ceremony of the centre. This office was established in Tehran based on an agreement signed between Unesco and Iran in August 2010. The centre has been set up to provide contributions towards implementation of the Convention for the Safeguarding of the Intangible Cultural Heritage in West and Central Asia. It will also coordinate scientific and technical studies in the states of the region. Browse All UNESCO World Heritage Sites in Iran.